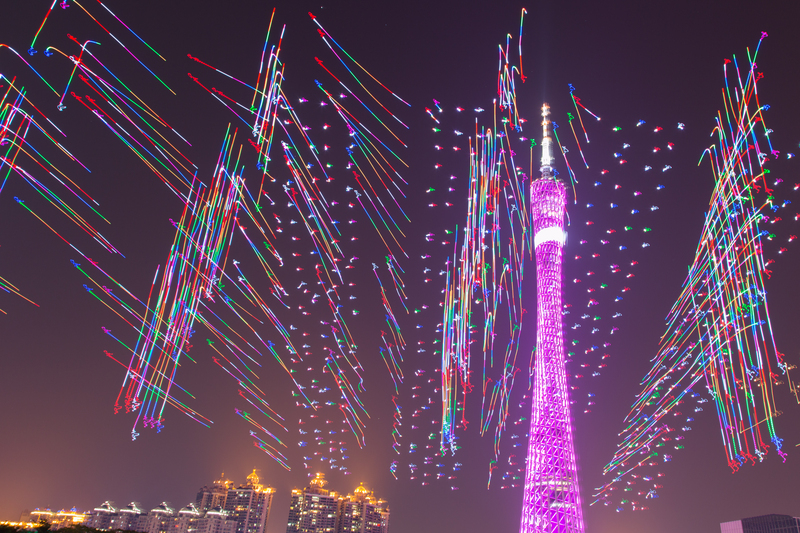 Just a few days after Intel wowed audiences with a 300-drone aerial light show at the Super Bowl, Chinese drone company EHang raised the bar with a 1000-drone light show for audiences in China. EHang performed its ‘Meteor Sky’ show in the city of Guangzhou in celebration of the traditional Chinese Lantern Festival on February 11. To create the spectacle, the company used 1000 of its GhostDrone 2.0 drones configured with color changing lights. A long exposure captures the drone show near Guangzhou’s Canton Tower. Putting on a show of this scale requires some impressive logistics. 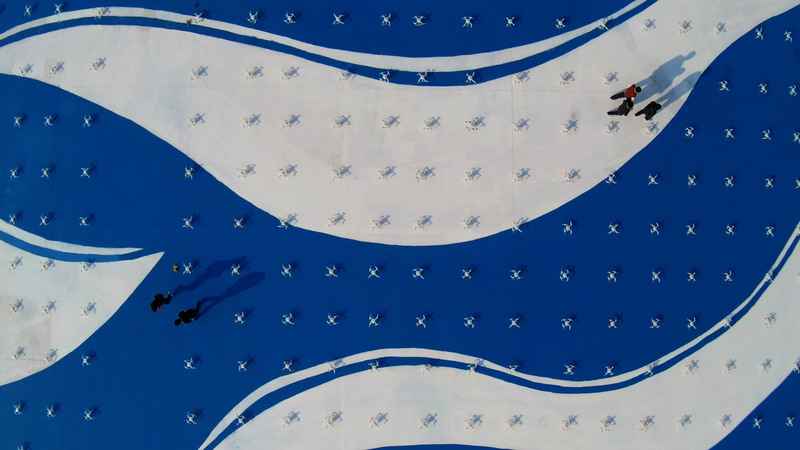 Just arranging the drones prior to flight required an area 290m long by 19m wide, and over 30 EHang engineers and staff put in thousands of hours to develop, choreograph and test the show. The company also developed an advanced communication network and safety system which maintained a minimum 1.5m distance between drones during flight. Despite the complexity, the entire show was controlled by a single computer on the ground. EHang staff arrange drones in preparation for its ‘Meteor Sky’ light show. The entire staging area was 290m x 19m in size. EHang notes that the show also served as a trial to see if drones could provide an environmentally friendly alternative to fireworks. What do you think about drone light shows? Tell us in the comments!